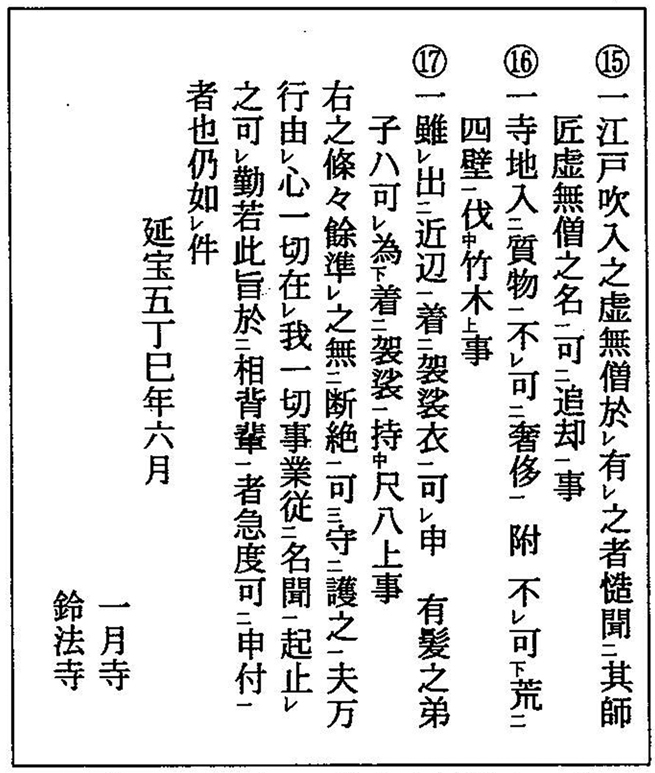 "17 Article Regulation of Ancient Times"
Reprinted in Yamaguchi, 2005, pp. 169-170. 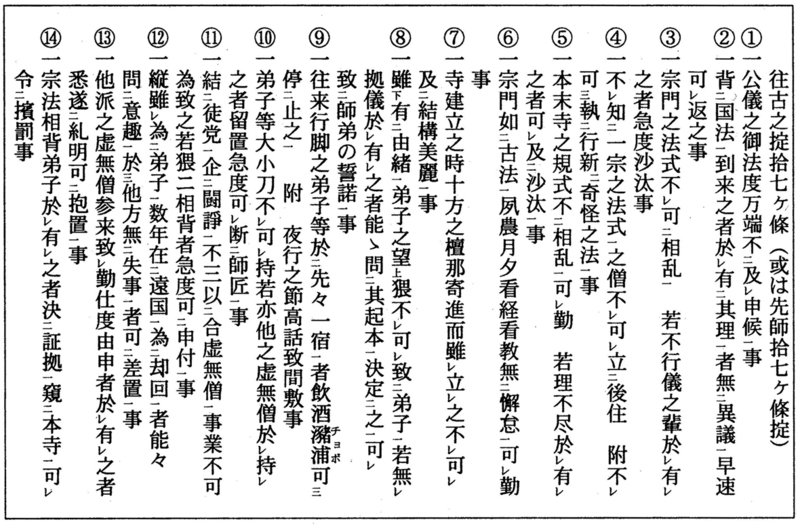 This very significant set of komusō regulations appears to have been issued by the Edo twin temples Ichigetsu-ji and Reihō-ji, dated the 6th month of the year Enpō 5: July, 1677. Do note that, composed and issued by the komusō "twin temples" in Edo, this document refers to the komusō brotherhood as a shūmon, 宗門, a "doctrin", "creed", "sect" - not as Fuke-shū, 普化宗: "Fuke Sect". Source: Yamaguchi, 2005, pp. 169-170.